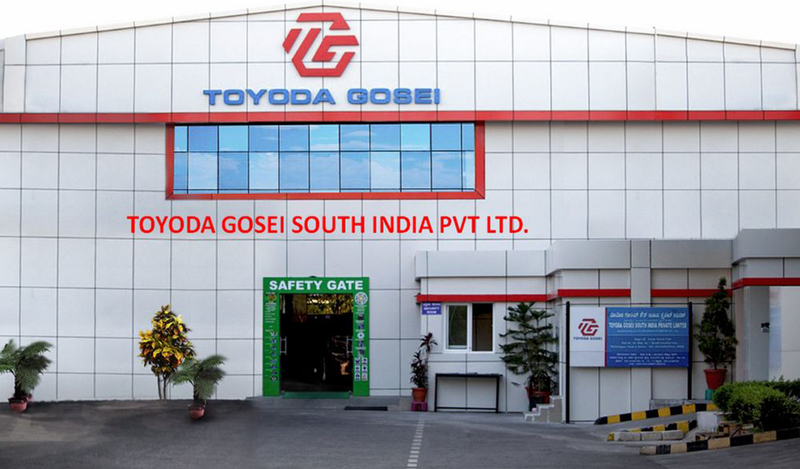 TOYODA GOSEI SOUTH INDIA PRIVATE LIMITED (TGSIN) is a joint venture between TG Japan (Toyoda Gosei, Japan) & TTC Japan ( Toyota Tsusho Corporation, Japan). Established in 1998 as a Tier 1 supplier, today we have grown into a leading player in automobile industry with clients like Toyota, Nissan, Renault, TTID and TKAP. Bidadi Industrial Area, Bidadi - 562 109, Ramanagara Dist., Karnataka, INDIA.